Wildfires are most common, but floods have resulted in the most property damage. Flooding occurs fairly regularly in Lewis and Clark County due to rapid snowmelt off the mountains, heavy rain, and rising groundwater levels. The peak of the flood season occurs in May and June, which usually are the wettest months of the year. More people are making their homes in woodland settings, in or near forests, rural areas, or remote sites. There, homeowners enjoy the beauty of the environment but face the very real danger of wildfire. Wildfires often begin unnoticed. They spread quickly, igniting brush, trees, and homes. You can reduce your risk by preparing now, before wildfire strikes. Meet with your family to decide what to do and where to go if wildfires threaten your area. The most common extremely toxic substances stored in or transported through the county are liquid propane and petroleum gas, anhydrous ammonia, and chlorine. These may be transported via a major rail line that runs along the southern part of the county through East Helena and Helena or via Interstate 15, which runs north and south, and US. Highway 12, which runs east and west through Helena and East Helena. Part of Lewis and Clark County is in a high-hazard seismic zone, which means that an earthquake here could cause major damage. This area includes Helena, East Helena and Lincoln. Click here for a fault map of the Helena Valley. The worst quakes to hit the Helena area were a 6.3 earthquake that occurred on October, 18, 1935. A 6.0 earthquake struck that same year on October 31. Four people were killed, and property damage exceeded $4 million. About 60 percent of the buildings in Helena were damaged to some degree. 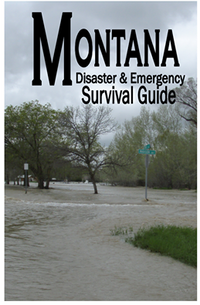 Click here for a summary of the 1935 Helena earthquakes. Much of the Helena Valley has a high potential for liquefaction, which is what happens when an earthquake causes the soil to become unstable and semi-liquid, like heavy oil. Liquefaction magnifies ground motion. Click here for a liquefaction susceptibility map for the Helena Valley.